The only small wire specialists in the Portland Oregon area! 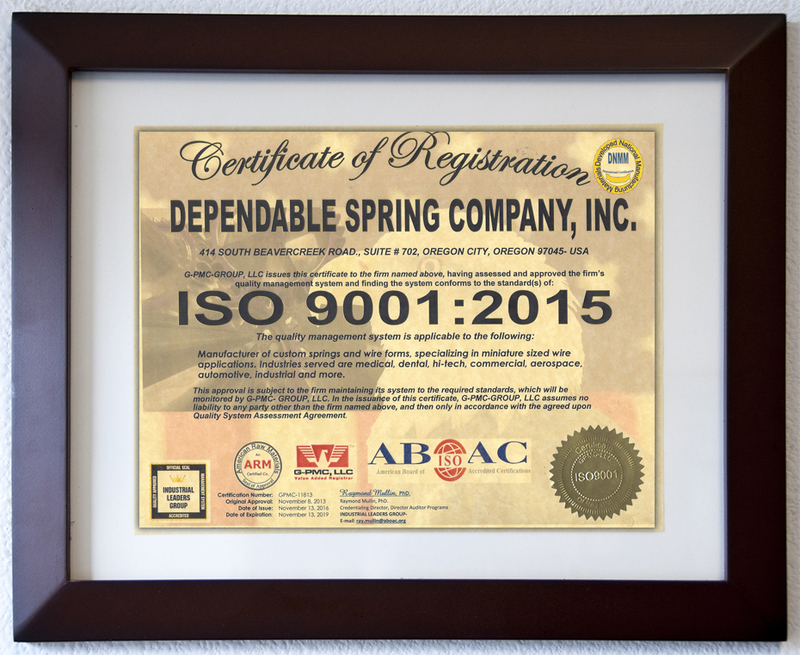 We are a family run spring manufacturing company that produces precision springs and wire forms. We utilize the latest in spring –making technology including CNC. Our combined 50 years of experience in the spring industry has given us the ability to provide our customers with the highest quality products, with a fast turn-around, at a competitive price. Dependable Spring Company can custom manufacture springs for compression, extension and torsion applications along with various wire forms for your projects. Our specialty is small wire: as small as .00275"
We specialize in the small to micro wire springs and wire forms. We manufacture top quality springs with a fast turnaround. We can provide quotes that other companies reject due to the miniature sizes, wire diameters, and close tolerances.